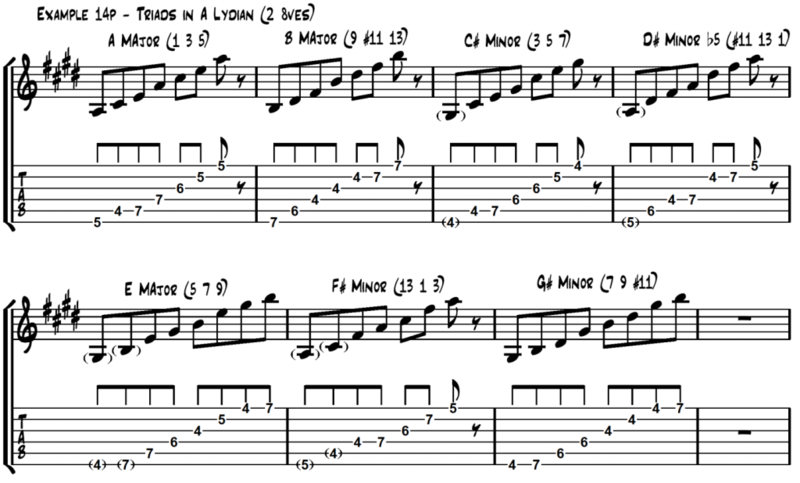 Continuing from last lesson, let’s look at 5 unique and useful Lydian Mode licks for Guitar. These lines are all included as audio examples and the Lydian backing track has kindly been provided by Quist. 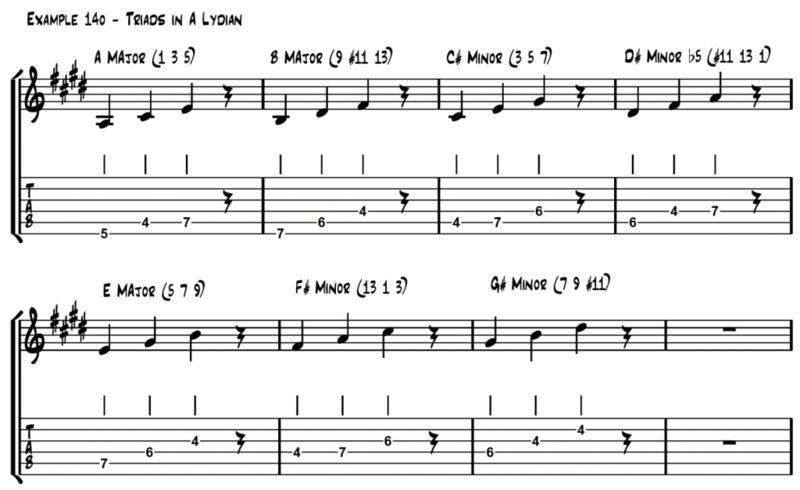 The following pages once again discuss the various ‘layers’ of the Lydian mode, from 2 note intervals through to 5 note pentatonic scales. Any idea in the following section can be used as an isolated approach or in combination with any other concept. To begin with, I would advise you to study 3rds and 5ths. Don’t forget to try making patterns out of groups of intervals. A common idea is to ascend two intervals and descend the third. Also, each interval pair can be played backwards. These can be played in 2 octaves in the following manner. (The lowest note in each shape is not always the root). Minor triad on 7 (G# minor over A Lydian) (7, 9, #11). Minor triad on 3 (C# minor over A Lydian) (3, 5, 7,).